Today marks the 150th birthday of the initial publication of Darwin's On the Origin of Species by Means of Natural Selection, or the Preservation of Favoured Races in the Struggle for Life. 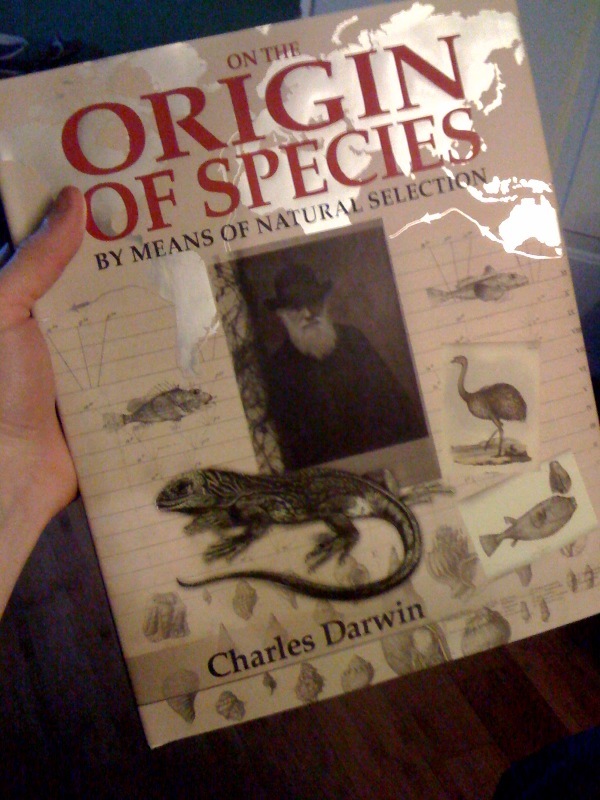 The gorgeous, fully-illustrated, sixth-edition copy of Origin that the missus gave me last Christmas. I think it's time for a read.